These presentation slides 40401 are complete compatible with Google Slides. Simple download PPTX and open the template in Google Slides. 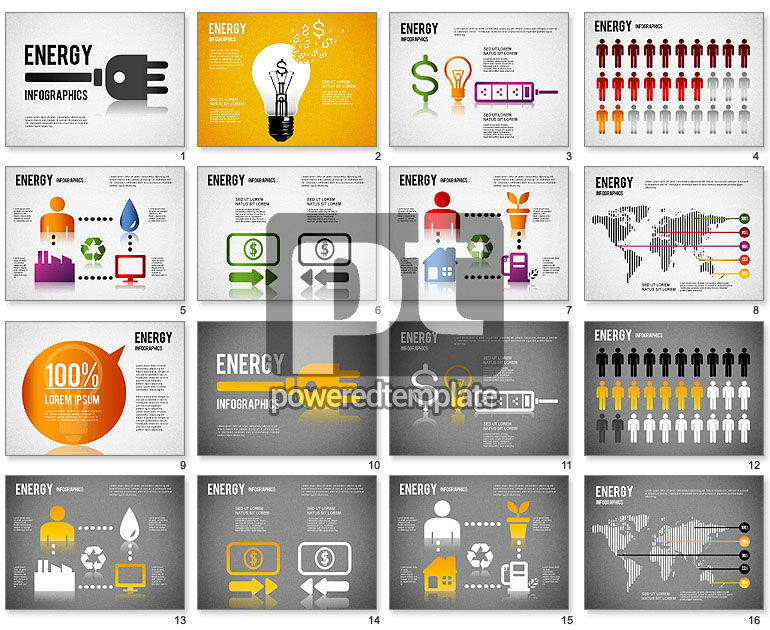 Meet this superb Energy Infographics for PowerPoint template, created in a great flat manner. Take it for your deck related to the topic of warm houses, energy saving and efficiency, renewable technologies and saving money. This cool sample has different charts, scales and graphs with percentage, areas for your text and cool icons made in nice pleasant colors with two variants of the background.